Our fellow OPSEU Members Local 294 employed by Care Partners, have been on strike for 14 weeks. The striking workers are mostly registered practical nurses (RPNs), though there are some registered nurses (RNs) and team assistants, who match nurses with patients. They serve about 1,800 CCAC clients in Niagara and Norfolk. The workers say they want to be paid by the hour, not by the patient. Erin Warman, president of OPSEU Local 294, says as an RPN she’s paid $17.56 per visit — visits that can take as long as three hours. 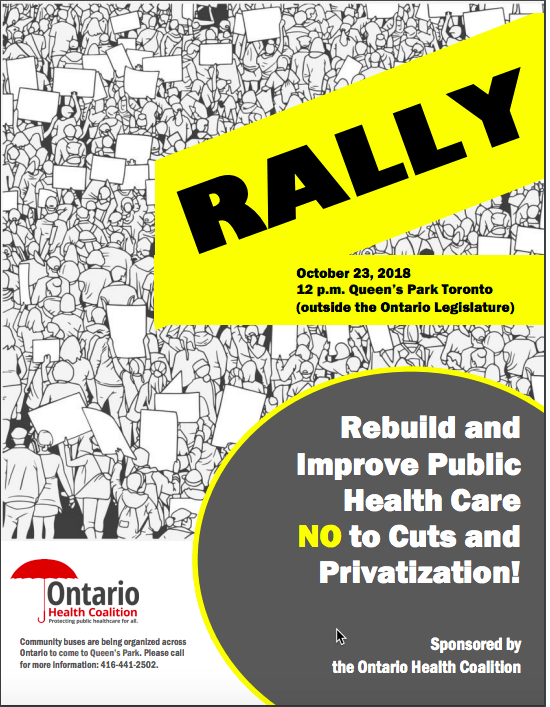 We are asking our OPSEU Local 101 members support our Sisters and Brothers in OPSEU Local 294 at a rally. These members would really appreciate your support.